Apple has officially released full and final version of Mac OS X 10.10.3 Yosemite Update (Build: 14D131) with Safari 8.0.5 for OS X v10.10.2+, Safari 7.1.5 for OS X v10.9.5+, Safari 6.2.5 for OS X v10.8.5 and Security Update 2015-004 (April-2015) for OS X Mavericks and OS X Mountain Lion operating systems. 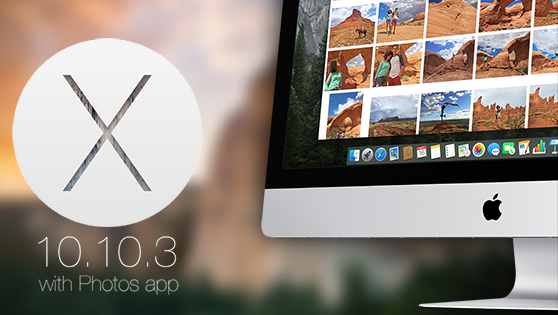 Mac users can manually upgrade and install the latest OS X 10.10.3 Update instantly. The official Direct Download Links of Final OS X 10.10.3 Yosemite Setup / Update (Combo / Delta) .DMG Files are available below. 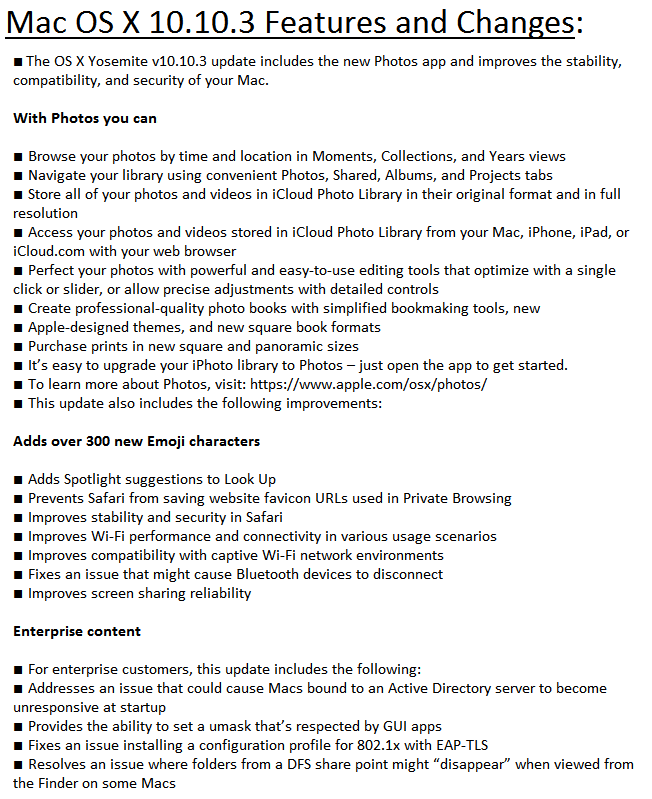 The official OS X Yosemite 10.10.3 Final Update (14D131) release notes includes several new changes, fixes, improvements, enhancements etc. which you can read in below image! How to Install OS X 10.10.3? To get OS X Yosemite 10.10.3 Update (14D131) automatically, just head-over to Mac App Store >> Software Update option. Mac OS X general public users and developers can manually install OS X 10.10.3 via iTunes for free through Bootable USB or Bootable DVD after Download OS X Yosemite 10.10.3 Final Setup / Update (Delta / Combo) .DMG Files via Direct Links. Click Here for official Apple tutorial.